Howard “Howie” Hamlin from Newport Harbour Yacht Club is the first skipper to arrive at the Royal Akarana Yacht Club & Auckland Skiff League 18′ Skiff rigging area ahead of the Maersk Line 18′ Skiff ANZAC Championship which kicks off on Friday 22nd April. 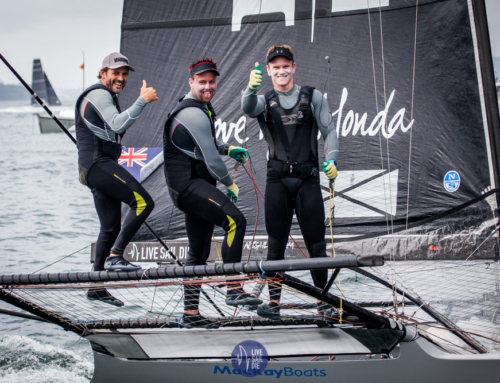 Although racing with the Australian fleet, Howie is definitely an American and is stoked to be amongst the Aussie verse Kiwi mix on the race course. “I’m really excited to be here. This is my third time racing in Auckland, but my first time in the ANZAC regatta. 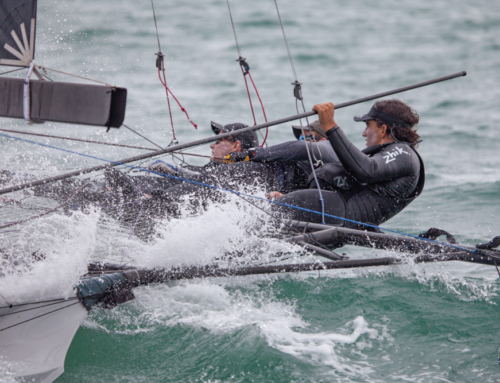 My crew, Daniel Phillips and Cameron McDonald are Aussie so we are definitely on the Australian team,” continued Howie. 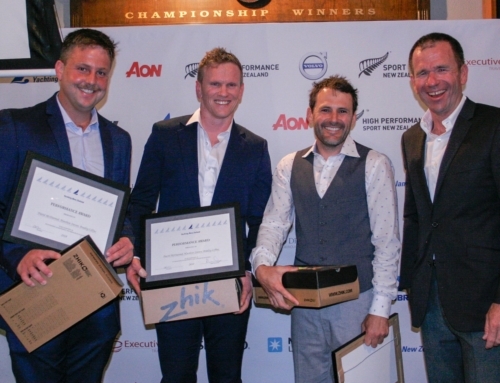 “The biggest competition for this regatta would have to be Smeg (AUS) and Yamaha (NZL), but you can’t rule out Thurlow Fisher (AUS) and Knight Frank (NZL),” said Howie. “We like a mix of conditions, so we don’t really care if it’s light or heavy, as long as we get in some solid racing,” continued Howie. The Maersk Line 18′ Skiff ANZAC Championship runs from Friday 22nd April and finishes off on 101st ANZAC Day, Monday 25th April.